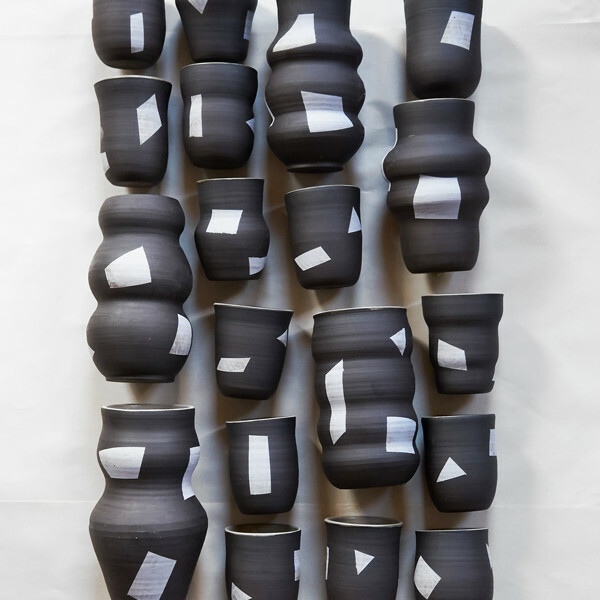 When Brooklyn-based ceramicist Helen Levi was approached by Diane von Furstenburg to create a collaborative collection, she found inspiration in a new resource: textile. Having made custom work for Steven Alan and regularly distributing to ten stores nationwide, Levi is no rookie to the industry. 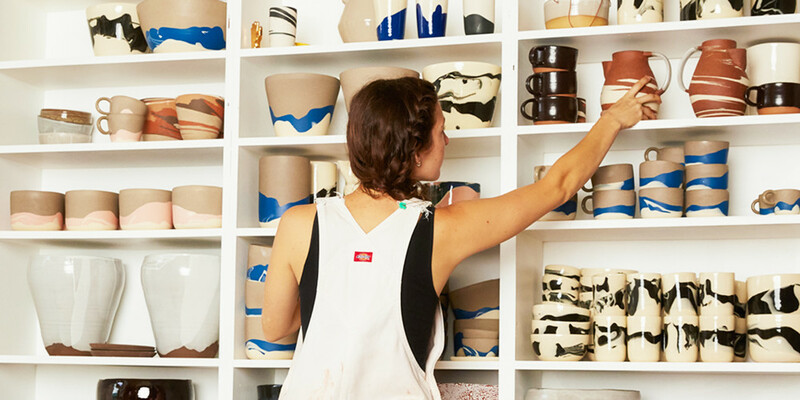 Her signature works, nature-inspired mugs, cups, tableware, and planters, are widely-recognized and highly sought after. 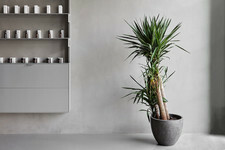 However, with this ceramic collection came a fresh fashion-influenced edge. In building an original assortment for the brand, the artist found craftsmanship in the clothing’s timeless animal patterns and retro stripes. Colors and textures of DVF’s pieces are reflected in Levi’s exclusive collection, which she was given complete free creative reign to design. This, is why when fashion and decor come together, all bets are off and innovation and beauty emerge. Lonny: What were your immediate thoughts upon being approached to create work for such an iconic fashion house? Helen: "I was so excited and flattered! I'm not particularly in tune with fashion houses, but DVF is one I've been aware of since I was a kid, and Diane has always stood out as a singular woman in charge." L: Do you see fashion and interiors as closely related entities? H: "Fashion, art, design; they're all members of the same family." L: How do the design worlds overlap, or what do the two verticals have in common? H: "There's so much overlap as two forms of creative expression; both for the customer, and the designer. I love how fashion both reflects and initiates some of the trends in current culture. I also find the creative solutions to make either fashion or design more accessible and less high end to be a really exciting part of both." L: Are you seeing more of an overlap between fashion, decor, and art now than before, and if so why might that be? H: "I've only been a part of the design community for 4 or 5 years, and I haven't necessarily noticed a big uptick in that time period." L: Specifically for your work, have you always seen your craft as something that ties in with fashion, or is this a new angle? H: "I've noticed for a while that clothing stores have been carrying home goods, but this is the first time I've made work specifically with a clothing collection in mind." L: Between fashion design and interior design, do you find one more relatable than the other? H: "I would say they're both relatable in the same way to me. High end items may exist purely as inspiration for individuals to interpret in an affordable way." L: How did you interpret the DVF prints and patterns, and translate that aesthetic into ceramic pieces? H: "I had never made a collection inspired by textiles, but I was pleasantly surprised that it felt very natural to me. 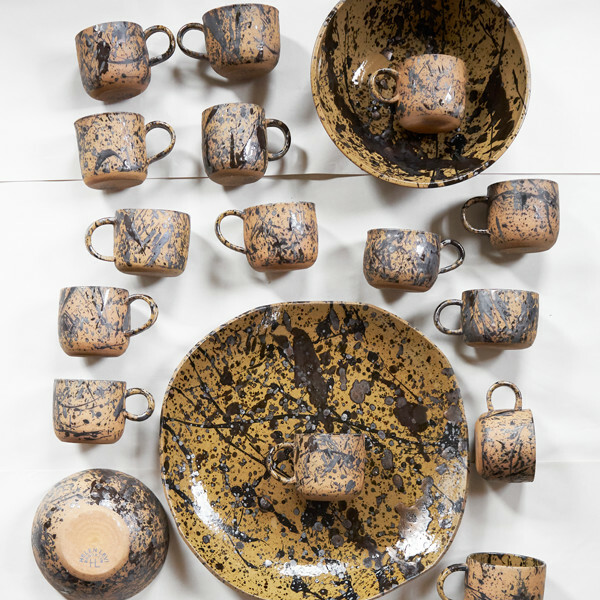 For example, I have used splatter patterns on white clay for a few years in my work, but seeing a leopard print for DVF made me want to layer shades of dark brown, bronze and black glazes on brown clay, which was a completely different effect but using the same technique. There was also a vertical stripe print that I wanted to try to interpret into a texture as opposed to just a pattern, so I used a ribbed texture to mimic stripes. I attribute the ease I had in the design process with the creative freedom given to me by DVF - they really let me call the shots, design wise!" L: What did you love most about working with a fashion house? H: "This was a particularly fun project for me because of how much freedom I was given to interpret the designs. It allowed me to really enjoy the pieces I came up with, because they were so true to my own aesthetic. 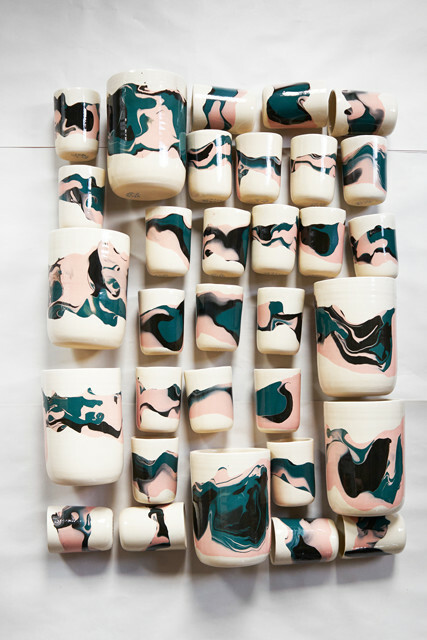 I also find a lot of inspiration from the physical processes of ceramics, so looking at the shapes and colors in the DVF prints challenged me to interpret them into the materials I used in the studio, and I found that to be really exciting." L: If you could work with any company in design, what would it be and why? H: "There isn't one particular company I have in mind... but I love unexpected pairings and am looking forward to the future :-)"
L: What's your biggest goal as a designer or artist? H: "I'd say my biggest goal is sustainability: building my business into something that will last." Helen's DVF collection launched this season, and is available online, and at DVF's Soho flagship and LA Grove store locations. To learn more about Helen, her brilliant creativity, and her DVF collaboration, read on here.